The adventures of an eleven-year-old boy in 13th century England as he searches for his father and his dog. After Artemis uses stolen fairy technology to create a powerful microcomputer and it is snatched by a dangerous American businessman, Artemis, Juliet, Mulch, and the fairies join forces to try to retrieve it. While spending the summer with elderly relatives at Clawstone Castle in northern England, Madlyn and her brother Rollo, with the help of several ghosts, attempt to save the rare cattle that live on the castle grounds. After twelve-year-old Binny hides and then loses the money she found in the ATM, she asks her best frenemy Gareth to help her find the missing money so she can return it to the bank without attracting the notice of her neighbor, whom Binny believes is a witch putting spells on Binny and her family. Twelve-year-old Caddy&apos;s world turns upside down when her father, Bill, temporarily becomes a stay at home "mom" and her best friends since kindergarten, Ali, Beth, and Ruby, begin to move in different directions. "Will must find her way after she&apos;s plucked out of a wonderful life in Zimbabwe and forced to go to boarding school in England"--Provided by publisher. The daughter of an English country knight keeps a journal in which she records the events of her life, particularly her longing for adventures beyond the usual role of women and her efforts to avoid being married off. British schoolboy Ash Mistry, the reincarnation of the great Indian hero Ashoka and an agent of the goddess of death, faces the evil Lord Savage again after the villain sends his minions to capture Gemma, Ash&apos;s unrequited crush. "A terrible crime forces Lockwood to turn to Lucy for help, setting them on the trail of dark secrets at the heart of London society. Both professionally and personally, their investigation stirs up forces they may not be able to control. . . "-- Provided by publisher. On his eleventh birthday Will Stanton discovers that he is the last of the Old Ones, destined to seek the six magical Signs that will enable the Old Ones to triumph over the evil forces of the Dark. After learning that she is capable of dangerous magic, Sophie Mercer goes to England with her father, friend Jenna, and Cal hoping to have her powers removed, but soon she learns that she is being hunted by the Eye--and haunted by Elodie. 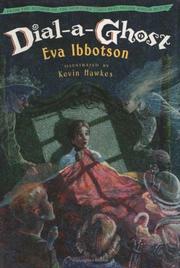 A family of nice ghosts protects a British orphan from the diabolical plans of his evil guardians. When John, who has a special ability to communicate with animals, finds that his dog, Mouse is scheduled to go to the pound, he and Mouse decide to run away and find his uncle who may be able to help them. Working on a highly-classified espionage project, four English teenagers go back in time to the Cold War in 1962 to prevent a global outbreak of the bubonic plague in the twenty-first century. Sixteen-year-old Zac never believed his grandfather&apos;s tales about their enslaved ancestors being descended from an African king, but when his grandfather is murdered and the villains come after Zac, he sets out for Ghana to find King Baktu&apos;s long-lost treasure before the murderers do. One day, young Danny was a common pickpocket. The next he was the unlikely owner of an elephant. Soon, he&apos;s on the adventure of a lifetime, riding his elephant from Edinburgh to Manchester in one week. With the entire country watching, including the queen, the stakes are high. And a rival zookeeper is determined to stop Danny from accomplishing his mission. After his grandfather dies, Andrew Hope inherits a house and surrounding land in an English village, but things become very complicated when young orphan Aidan shows up and suddenly a host of variously magical townsfolk and interlopers start intruding on their lives.